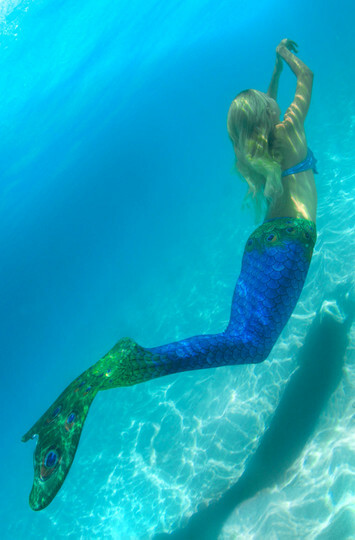 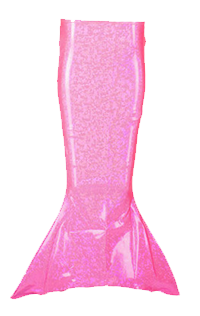 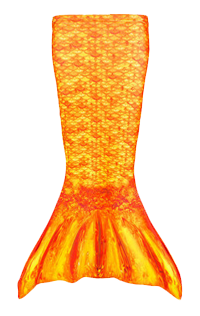 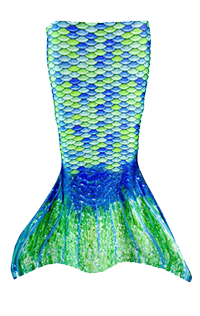 Strut your stuff in our Limited Edition Sapphire Peacock Mermaid Tail! 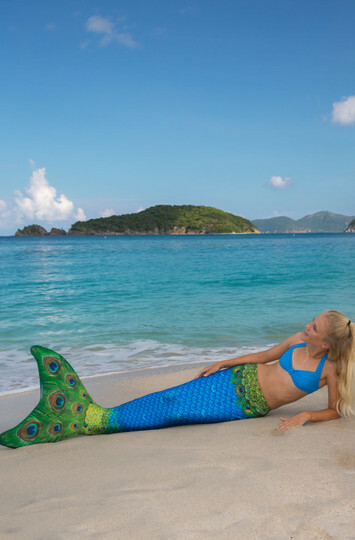 You can almost feel the soft feathers in this magnificent peacock design that makes a chic fashion statement. 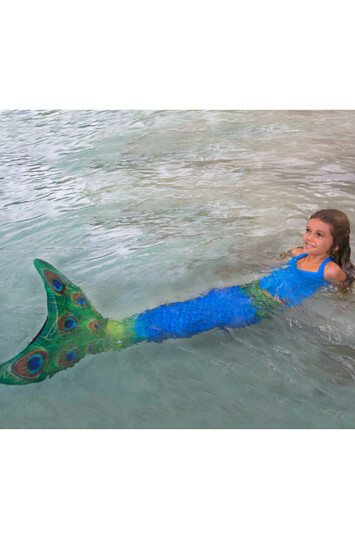 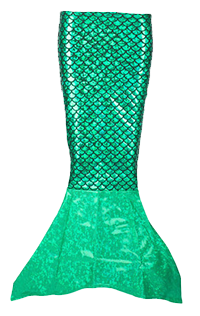 Vibrant and exotic, this jewel-toned peacock mermaid tail is alive with luscious colors and a hint of adventure.